10th - 11th May, 2019. Stop by our stand and say hello. A creepy demonstration of how the Victorians were literally 'saved by the bell'. Beautifully aged box, accessories and routine - the perfect home for your Ces@ral spirit be11. 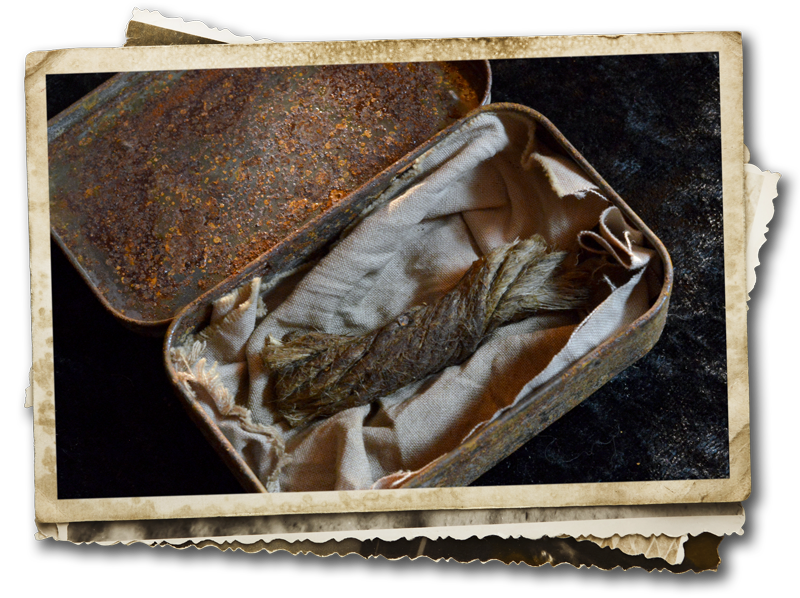 Take your audience on a journey - back to a time when being buried alive wasn't just a nightmare but a real possibility. Includes box with period correct solid brass fittings, unique label, six aged, hand sanded victorian photographs, hemp bag, rope and full routine. 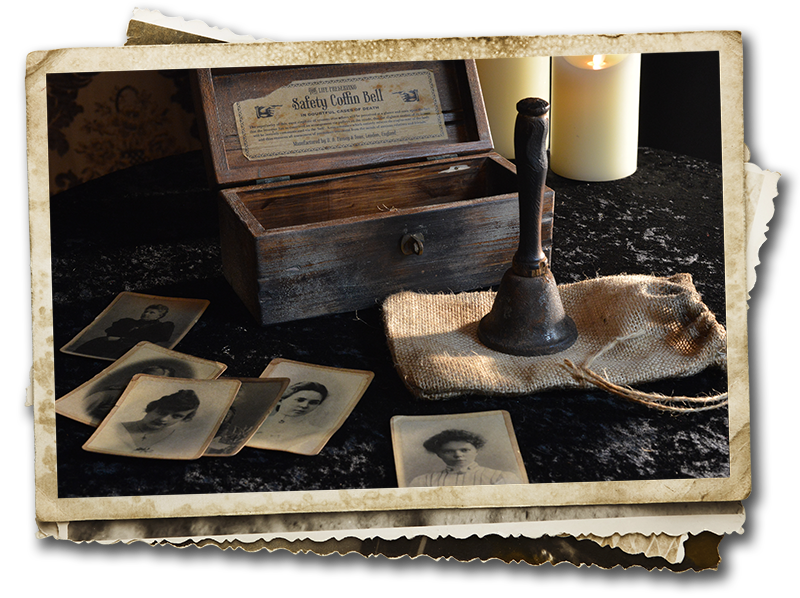 A foolproof device for testing mediumship - for use in séance type settings. A faithful reproduction of an early 20th century spirit communication device for parlour use. Fully under your control at the right moment. Solid brass fittings, beautiful dial plate and comes complete with outer box, aged photograph of the inventor and basic routine. Some malevolent forces can be felt. Darker ones can be seen. Place your audience at the heart of the performance as they summon the spirit of 'La Main de la Gloire'. A new take on an Annemann classic using bizarre props. 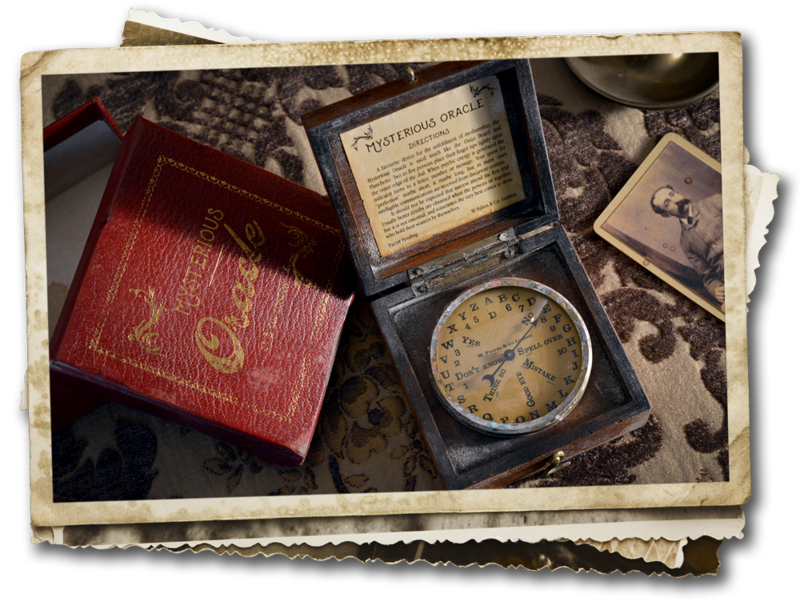 The 'Uninvited' can be played for as long or short as you wish - an entire evening's entertainment in one hauntique. Beautiful English oak box, gaffed h@nd of g1ory, accessories and full 'Uninvited' routine. Use wisely! 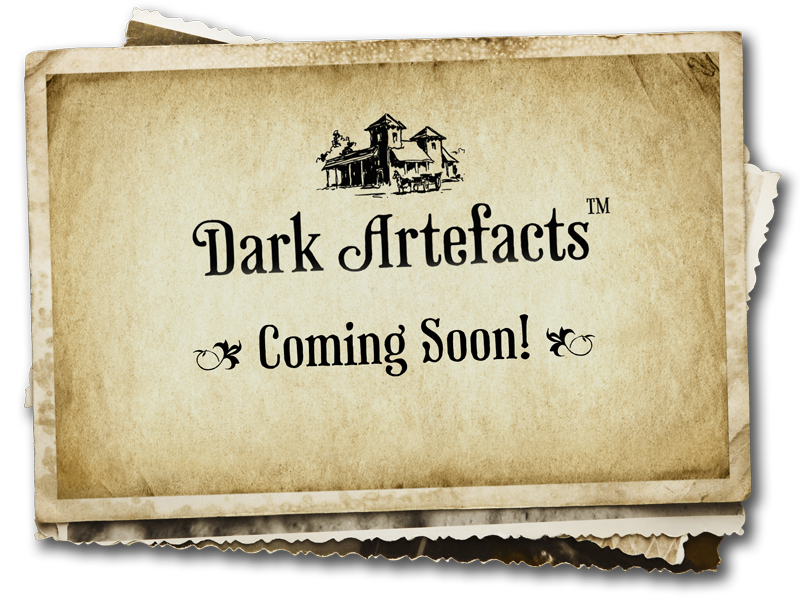 Dark Artefacts design, manufacture and sell otherworldly objects and little bits of strange to slightly eccentric people. Whilst a relative newcomer to the world of bizarre magic, we have many years experience of storytelling in one form or another and we’re always working on new concepts and ways of making audiences feel somewhat, uneasy. If you’d like to be kept in the know, please sign up to our occasional, Bulletins from Beyond, newsletter. Box, accessories and routine – the perfect home for your Ces@ral Spirit Be11. 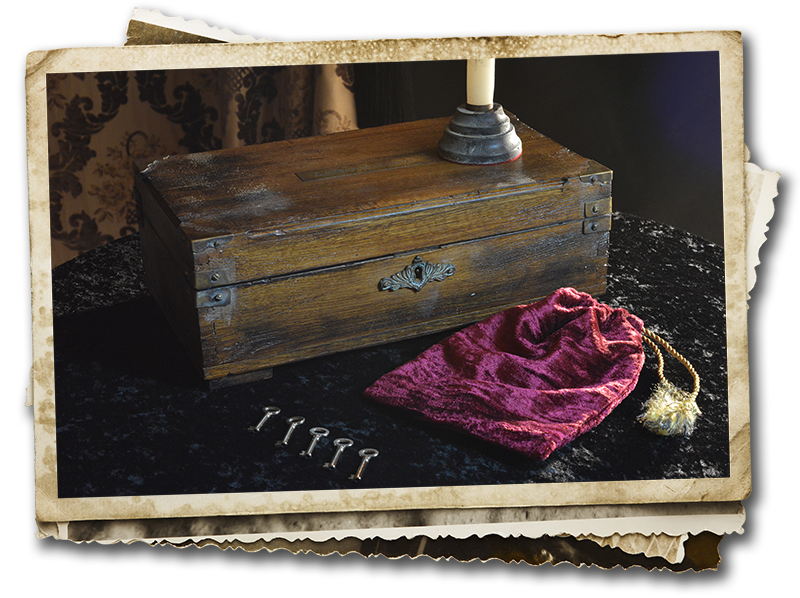 First invented and sold by W. Fulves in 1924 – a curious device for testing mediumship. Summon the spirit of La Main de la Glorie – a new twist on an Annemann classic. A unique pk accessory for use with ‘The Uninvited. A tarot like no other – where only time will tell. One of our darkest artefacts – a hauntique that’s anything but inanimate. © 2019 Dark Artefacts. All rights reserved​.